I have been involved in the Complementary Therapy fields for about twenty odd years now which has led me to qualify in Massage therapies, Aura and Chakra balancing, Energy healing for the body through modalities like Reiki, Heart Resonance and Quantum Healing, Channelling, Numerology, Psychosynthesis (trans-personal counselling), Workplace training, Meditational practices and Sound Therapy. I live my life now as a Holistic practitioner but come from a working background in the Courts and Police Departments as a public servant. During that time I massaged clients and run numerous holistic workshops including meditation classes from home. As part of my training qualification I created and facilitated two successful 12 week Preventative Stress Management Programs through the Police Department that incorporated all of my holistic skills and knowledge. I have now turned my passions into my full time business and Integration For Life is the result. Due to my desire for personal growth and wanting to create more self empowerment in my life, I completed a 3 year Diploma in Psychosynthesis (transpersonal therapy and counselling). An incredible course that allows you to integrate physical, mental, emotional and spiritual aspects of yourself, giving you the the tools and understanding to live a life in a more loving and meaningful way. I believe this to be the key to maintaining balance and inner peace. Once we have a deeper understanding and acceptance of ourselves, life flows a lot easier and then joy can flow in. My life journey took a huge leap forward in July 2009, when I experienced a divine awakening that shifted me into the world of sound frequencies. Initially in the early hours of the morning I begun to receive heavenly energetic loving surges pouring into my heart centre. It was like no earthly love that I had felt here, it was unconditional sacred love, and it literally took my breath away. With my higher self or soul self now in the drivers seat, and my human aspect looking on from the back seat, peace became a constant friend, and my thoughts were calm and flowing. All negative patterns and habits that had been a struggle for me disappeared, peaceful bliss. I began to walk for a couple of hours down the beach daily, and was drawn to a vegetarian diet, of which I lost 2 stone. I was journaling and doing automatic writings daily through the divine Masters and Angelic Spirit guides. All of these things, plus too many more incredible experiences to mention here, just seemed to flow unto me, without thought and without reason. All that had seemed like a struggle was gone and I was living a life in loving kindness. Over the next several months I experienced Kundalini rushes throughout my body several times daily, and I have to say it was the most exhilarating and loving experiences I have ever had to this day. I was absolutely glowing, and many friends and work collegues were asking what I was on and could they have some! During the early hours of the morning I also received divine messages, that I later recalled via automatic writing. Soon after all of my Kundalini surges had finished, some 4 months later, I recall receiving approximately five brilliant burnt bright white sacred geometries into my consciousness. Instantaneously I began to sing and speak in languages that were not of this world, and this has continued to grow stronger to this day. It has been an amazing journey and still unfolds daily. Through this beautiful gift of my soul I am now able to assist humanity and Mother Earth. These ancient soul languages re-awaken the soul to remember its purpose, guiding us to becoming the magnificent beings of light that we are, and lessen the struggle of our life journey here. Clients say that they sound much like the ancient languages of Egyptian, Hebrew, Tibetan, Sanskrit, Chinese, French, Greek to name a few and sometimes a mix of all. For it is really a divine language, of which I have now been given understanding and short translations for my clients, to assist them on the physical level. It is like the soul recognises these vibrational words from one of its past lives on this earth. But I understand and know it as Soul’s origin language which resonates very deeply within the person’s soul, raising their frequencies to a higher vibration. The vibration of what is being sung or spoken invokes deep emotions of love, understanding and direction for the listener which brings a wave of peace and tranquility. A sense of ‘coming home’, a reawakening of memory from deep within us. Here is a client’s interpretation of the languages being spoken after her experience at one of my Sound Sessions: ‘What I picked up, was that you spoke many ancient languages, depending on the past lives of the soul concerned. Initially until the tower of Babel in mythology we all understood the same language, this then fractured and we spoke the language of the tribe we were in, rather than the common language. I feel so blessed that Divine Spirit were working through me so fluently and effortlessly as a vessel of creative expression. Through this medium I am able to share beautiful sound frequencies and help change the world in a positive way. It was not long after I received the encodements of light that I was drawn to pick up my first Himalayan Singing Bowl. 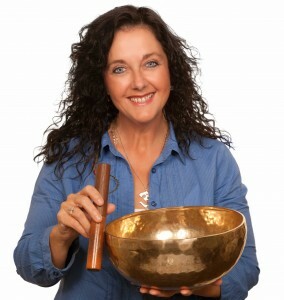 I was so hypnotized by the beautiful harmonics of these sacred instruments, that I bought about five of them at once! I sat at night into the wee hours before going to bed playing the bowls and introducing myself to them one frequency at a time. I would sound with them, and could hear other angelic’s singing with me when I sounded! My intention was to share these frequencies with earth ley lines and song lines, as well as send healing vibrations out to humanity. I then started facilitating mediation groups, and was guided into sharing the Languages of Light with the participants, alongside the Himalayan bowls. At that time I also started to be also drawn to other sounds, such as that of the angelic Crystal Singing bowls, Frame drum and light percussive chimes and rattles. Even though I had been working intuitively with sound for over eight years, I decided to further my education in this area, as I had no formal musical training or knowledge. I decided to qualify myself through the British Academy of Sound Therapy as a Practitioner & Group Diploma in Sound Therapy. I find this gave me a better sense of the needs of an individual or group, and how to bring the best out in them throughout a sound session. It also is my duty of care to make sure all people are looked after in my sessions and receive the best quality of service. As the sessions grew, so did my divine direction of how to work with the Soul Languages. Each session I would find myself doing something different, that I did not understand until after the session. Like sitting in front of each person in the group and sounding in languages to them. Spirit would share afterwards that I was singing that beings Soul song. I have grown over the years to now trust that what comes through me is pure and only that of the Holy Spirit. I know that each soul receives exactly the right information that it needs for awakening them into their souls purpose here on earth. Soul language is understood from our feeling self, of our heart space; it’s essence is that of unconditional love. Originally I could not translate the Languages, but now I am able to translate into English what divine spirit is relaying to each being. It assists the conscious mind to understand and confirm what is being said. I find this assists people considerably and is life enhancing and a true blessing. It shifts us into the highest potential of our divine truth. At the end of 2011, I felt a deep sense that Divine Spirit desired me to channel these Sacred Divine Languages and Sounds onto an album. So on New Years Eve my dear friend and amazingly talented musician in her own right Heather Frahn, set up a recording studio in my retreat. She gave me some instruction of how to record a track and some tips along the way on how to mix them and ‘Awakening the Divine Heart’, released on 12/12/12 is the result. The songs were all channelled Divine messages which usually took all night to do, one song at a time but they were generally completed in one session and one take. No changes have been made to the original take of each track, I’ve just added my own guided sounds and instrumentals along the way. The holy Himalayan and Crystal Bowls are the base frequency sounds that accompany each track which takes the songs to a whole other world of divine resonance. The sounds are all recorded from my home environment, to add to its originality. Like on track one, the water sound is from my back courtyard water feature, birdsong from around my home and chimes from my friends front porch, to name a few. It always amazed me how the creative process unfolded and sometimes listening back on the songs, I could not even recognise the voice as being mine, I sounded so different. So now these powerfully sacred vibrational messages of love can be sent out through the world to help so many more souls reawaken to the magnificence of their divine selves and to gift the high frequencies of harmonic vibrational sound to all that listen to it. I just can’t wait to see where I am guided next, hopefully somewhere near you!! Please go onto my music page and discover the divine messages behind each of the songs that were intuited to me. I have also suggested meditational practices that you can do with each song but I urge you to just listen to them with deep inner refection and quiet contemplation to discover your own divine message that intuits through for you. 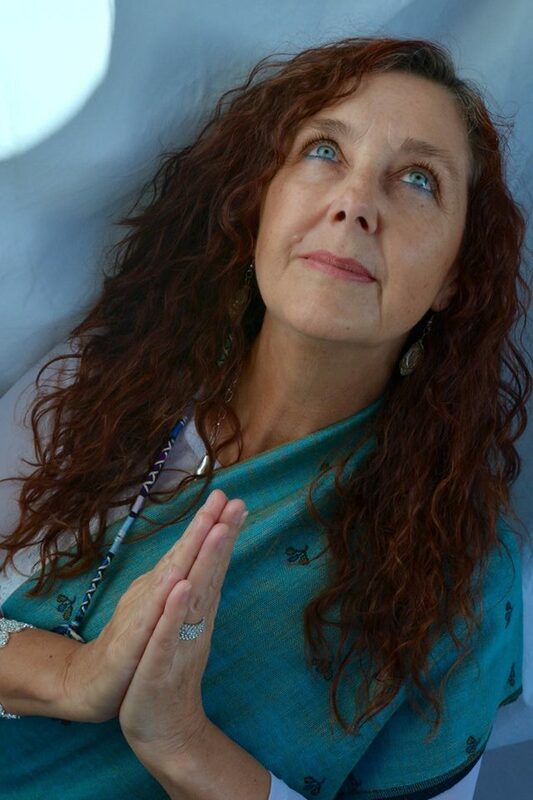 I also offer many other ways to experience my voice through Divine messages, such as through my sound treatments, monthly Sacred Sound events (Sound Bath), monthly Sound Attunement groups, that you can also have at your own home, and much more. So please take some time to look through my links. I can also do your own personalised Skype session, channelled just for your soul, which will assisst in improved quality of life and deeper insight. This includes a guided meditation, your Soul song and a divine message sounding through Soul Languages. Allow the harmonics to guide you to a more loving and sacred space in your heart and life.